Nowadays climate change and global warming are hot topics for debate, but other humans, our ancient ancestors, have themselves had to witness the dramatic consequences of such changes in their environment. Four Ice Ages are known to have occurred during the Palaeolithic period, approximately 800,000 – 12,000 years ago, interspersed with warmer conditions. During the last Ice Age, the cold temperatures and extensive ice sheets made much of northern Europe uninhabitable. As temperatures rose and glaciers melted, at the start of what is known as the Holocene period 12,000 years ago, Mesolithic hunter-gatherers were able to start spreading north and west. However, a consequence of this release of glacial water was a rise in sea levels and over time the rich lowlands favoured by the hunter-gatherers became inundated, turning woodland to salt marsh and pushing coastlines back towards higher ground. At times a slow and insidious process, at times dramatically fast, the loss of familiar landscapes occurred within the memory of living generations. These lost lands off the coast of modern Britain can now be revisited due to innovative work by The University of Birmingham. They have used the seismic reflection surveys developed by commercial companies to map the landscape of the seabed. 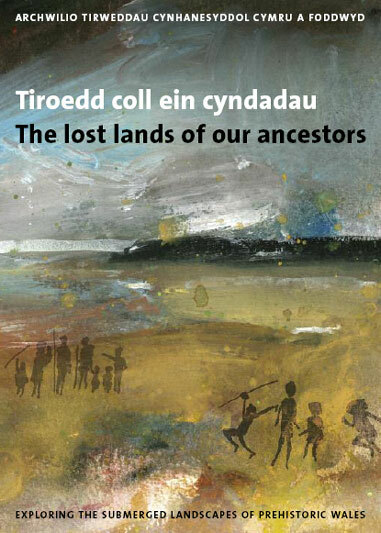 Following the rediscovery of Doggerland, below the waves of the North Sea, landscapes now beneath the Bristol Channel and Liverpool Bay have been studied, expanding our knowledge of Wales in prehistoric times.